(CNS): Updated Tuesday – Police have now confirmed that the man who is believed to have drowned on Sunday in North Side is Henry William Dixon (41) of East End. An RCIPS spokesperson said that officers from the Marine Unit are continuing their investigation into the circumstances over how the man drowned. The 911 emergency centre had received a call at 18:21 reporting that the man had been pulled from the water at Rum Point and the victim was being conveyed by a private boat to ‘Duck Pond’ Leeward Drive, North Sound Estates. Emergency Medical Services, Police Uniform Section and the Marine Unit met the vessel and the victim received treatment at the location before being taken to George Town Hospital where, after further efforts to save his life failed, he was later pronounced dead. Extending their condolences to the bereaved family the police said that enquiries into the circumstances surrounding the incident are ongoing. Anyone who may have information is asked to please contact PC Dwight Rivers of the Marine Unit at 949 7710. (CNS): The continued failure of the civil service to produce any consolidated government accounts after more than a decade was just one of the concerns raised by the Chamber of Commerce president last week when he took aim at governments short-comings at the annual legislative lunch. Johann Moxam pointed out that the elected arm of government has to face the national vote every four years but there is no accountability for the civil service management. Advocating for rationalisation and a more efficient government Moxam said that could only happen with some accountability from the senior public servants but no one was seeing any at present. “If we are going to advocate for efficient government and for taking action, we must also seek accountability. Accountability is overdue,” he said. “A decade without audited, consolidated financial statements,” the president added as he asked the audience to consider that. “How does this Government and the UK manage its contingent liabilities?” he queried. Pointing out that elected officials are at least held accountable every four years at the polls, Moxam asked the governor and the deputy governor where is the accountability from civil services bosses. “The reality is that the public sees no such accountability among public servants, even at the highest levels,” he said, including chief officers, chief financial officers, deputies, heads of departments and those responsible for statutory authorities and government companies. “Accountability is overdue in a public sector of this size. The Chamber and the wider business community have consistently called for public sector reform and a national strategic plan for the past ten years,” he added, as he queried what government planned to do if it was not going to act on the recommendations in the recent E&Y report to address the problems. 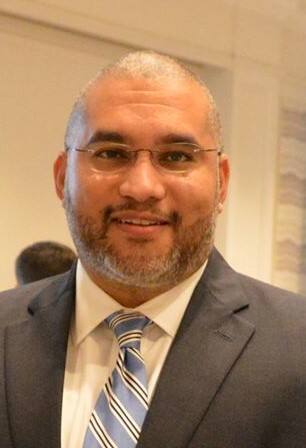 Moxam criticised the quality of service from the public sector and noted that it was undermining business and warned that with a changing world despite Cayman’s past successes the country could no longer progress with the same mind set and principles of the 1980s. Being more efficient requires action, the president suggested, not more talk as he criticised government leaders for not acting on tough issues content to talk about issues or just study them. He went through the long list of costly reports on myriad subjects that have gather dust on government shelves from the Yolanda Forde Report on crime to the Miller Shaw Report on cutting the public sector. “We sure are smart enough to pay for expert analysis, yet we repeatedly lack the discipline to implement the recommendations. What exactly is the point of knowledge if we don’t use it?” the chamber boss asked rhetorically. Moxam said the Chamber was advocating for a more efficient government including the statutory authorities and government owned companies and for government to have a clear plan and to deliver on it based on needs and not egos or agenda.